It is the middle of winter as this post is being composed. It is very cold where we live and there is lots of snow. Fortunately our car starts easily every day because we have taken care of it. Good maintenance and common sense use can make a huge difference regarding how your car runs. Here are some Common Sense Car Tips for Your Car in Winter. Getting it started is one of the first items of concern on a really cold day. That’s why we focus on the battery to begin with. Batteries – lose power as it gets colder and they get older. If your battery is approaching 3 years or more or it is really cold there are a couple of steps you can take to help it start your car. A battery warmer in extreme cold weather is a great investment. Storing your car indoors also helps. Although it is expensive, replacing your battery after 4 years will probably save you a great deal of frustration. A well tuned car also helps. Let it warm up – once it is started allows the engine to heat the oil in the engine and the transmission. It will flow better and lubricate all of the important areas before you place the engine under load. It will also be warmer in the car when you do get in. Remove frozen junks from wheel wells – it builds up with all of the slush on the road. If you allow it to fall off on its own, there is a good chance it will damage the wheel wells or the underside of the car. Tire Pressure drops – during cold weather. You will lose control and traction with low pressure tires. Check them on a regular basis and top up as needed. Windshield wipers break – during freezing rain situations or water dripping down the windshield as it melts from the heater. When you park your car, lift them up so that they will not freeze to the windshield. Be careful with windshield washer bibs – as you are scraping the ice off the windshield. They become brittle during cold weather and easily broken as you are scraping ice and slush from the windshield. For more ways to save money along with car maintenance ideas, click here. Looking after a car is actually pretty easy if you follow the manufacturer’s instructions for car maintenance and are a little bit observant as well as you approach your car and while you are driving your car. Consumers can avoid major expense if they follow some of these important car maintenance tips and checks. If you can do some of this work yourself you will save money. Today’s cars are better than they were even 10 years ago and aside from oil changes, brake jobs and muffler replacement they do not need a lot of maintenance if you look after them. The trick is to react quickly to any unusual noise or change in the operation of your car and have it looked after before it becomes a major problem. Before you even get into your car take a quick look at the tires to make sure that the tires are fully and properly inflated. A low pressure tire will cause your car to be unstable at high speeds, will heat the tire up and could cause it to blow while you are driving. Also a low pressure tire will lower your gas mileage as well. Observe the tire tread to make sure it is wearing evenly. Signs of uneven tire wear indicate that your tires are not properly balanced or that your car needs a front end alignment. Premature tire wear usually means a new set of tires earlier than normally expected which is very expensive. Last check for any fluids under the engine. You may see water from the air conditioner and that is about all. If you see engine oil, brake fluid or antifreeze, have your car checked immediately. Before you move the car always make sure that there are no obstacles to hit behind it before you back out of the driveway or the parking spot that you are in. Get to know your car’s sounds when everything is working perfectly. Unusual sounds may mean something is going on that you need to address. For example squealing brakes can mean new brake pads are needed. Vibration in the steering wheel and loud road noise might mean a front end alignment is needed. A screeching sound each time you accelerate can mean a lot of things including loose belts, low fluid in the transmission and so on. Take it in to get it checked before permanent damage is done to the car. When you first drive off in the morning, turn off the radio. Just listen to the car for a few minutes as you drive off. This is the time to learn if there are any issues you need to be aware of. Loud tapping noise from the engine can mean anything. Including a cold engine, to low oil in the engine, to the wrong gasoline being used in your car. The engine is an expensive component. You need to get this checked before something catastrophic occurs. Make sure these are all at the proper level as instructed by your car’s manual and you should be good. The importance of car maintenance cannot be emphasized enough. It can mean the difference between life and death. A major accident, and someone you love being hurt or killed by a car that has not been well-maintained. In addition bad or poor car maintenance can cause accidents with people being hurt or killed. In addition to major damage that takes place. Then there is the cost of fixing a car that has not been maintained. It is pretty much recognized that you can spend some money on regular maintenance. Such as oil changes, brakes, muffler, fluid flushes and tune-up. Or you can spend a great deal more money on repairs on your car that have been made worse because they have not been maintained. Then there is the cost of the breakdown on the road. The subsequent towing that is required and finally the repair. Consumers can expect to pay more than $100 for a tow. Especially if you are stuck on the road and cannot move your car. There is no opportunity to negotiate. There is no choice but to accept the charges that the tow operator offers. Unless you have a towing package from one of the major travel companies like CAA or AAA. Just the cost of towing a poorly maintained car can make a huge difference in what the overall cost of the total repair costs and money you spend on your car. Preventative maintenance can save you money in the long run and save your life. Here are a few things that should be considered under car maintenance. Check your tires on a regular basis. This is one of the most common issues to cause accidents because tires do not have sufficient inflation and the car becomes unstable at high speeds. Have your brakes checked on a regular basis. The brakes can mean the car will not stop as fast as possible or may fail altogether. Squealing brakes indicate that the pad is worn through to the metal and should be replaced immediately. Failure to have adequate engine oil in the engine can cause premature wear and tear on the engines mechanical parts and cause the engine to fail earlier than the manufacturer warranties. Always make sure that it has sufficient oil in it. Also have your engine oil and filter changed at the proper times as per the manufacturers guidelines. Old engine oil will also cause your car to fail environmental testing that many states and provinces have enacted. Even oil as old as six months can cause a car to fail the emissions test and cost you more money. If the tires are wearing prematurely or unevenly it is time to replace them. 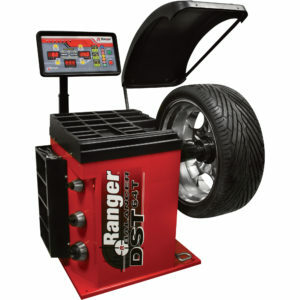 At the same time have new tires and rims balanced and the front end aligned for your car to make sure that you your car will handle properly at high speeds. This can mean the difference between life and death. The proper car maintenance of your car is one of the things that will ensure that you always will be safe when driving a car at high speeds as well as on local streets. The majority of accidents occur within 5 miles of a person’s home. Most people will have an accident at one time or another. Make sure that your car is in top shape from a maintenance and safety perspective. It will help you avoid those accidents and protect you from injury. Here is the following list of important things that you should always look for when you are driving your car. Check the air pressure of the tires. Glance at the tires whenever you go to get into inside the car. If they look a little low, check the tire pressure with a tire pressure gauge. Pay attention to your tire pressure warning system if you have one in your car. Check the oil in the engine to make sure it’s at the proper level once per week. change your oil every three months or 5000 kilometers or 3000 miles. Check all fluid levels including brake line level, power steering fluid level and window washer fluid level. Also any other fluids in your car such as the radiator fluid. Top up if needed with the proper fluid. Whenever you start your car listen to the cars engine and whether it is making any strange noises. Also when you’re driving your car listen to the noise the car makes as it travels down the road. Listen for anything that is out of the ordinary and different from what you’ve experienced in the past. If you hear something, investigate before you drive your car further or have a mechanic look at it. Confirm that your license plate is on the car at the front and rear if applicable. 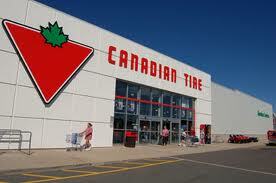 Have the oil changed in your engine at least once every 3000 miles or 5000 km. Also check your tires for signs of abnormal wear and tear. If one side of the tire is wearing faster than another it could be an indication of front end alignment being required or tired not installed properly. You may want to have this checked out. Your tires should also be rotated and balanced on a regular basis, usually every 12,000 kilometers. Also have the brakes checked on a regular basis to make sure that there’s sufficient lining on the brake pads. If you ever hear squealing coming from the brakes when the brake is applied, make sure you have your brakes serviced immediately. Finally have your car fully maintained by a mechanic who verifies all of the things that are in the check list provided by the car manufacturer. This will ensure that your car is well-maintained and safe for your travel. You can never tell when you will need to avoid an accident and making sure that your car is always safe to drive will help to ensure you survive that accident. Doing these basic things for your car maintenance routine will help ensure that you car lasts longer and avoid emergency break downs that can become very costly. Keeping your car in tip-top shape will save you money and prevent costly repairs over the long run. When your car decides to break down, it is usually at the worst possible time. Such as when you are stuck in heavy traffic or on vacation a long ways from home. Any time is a bad time. However it can be expensive when you must have your car towed a long distance. Perhaps stay in a hotel somewhere and take taxis back and forth to the hotel or motel. It can become very expensive. If you are traveling it is just not worth it to not have your car perfectly tuned up and well maintained. This includes your tires being balanced and having sufficient tread on them. They should also be pressurized at the proper level to ensure minimum wear and tear, a smooth ride and efficient gas mileage as well. We put together a list of items to check on a regular basis that can be completed by most drivers. For detailed instructions follow your cars manual. Your dealer can also check the above items while performing an oil change, which should be completed every 3000 miles or 5000 kilometers for most cars. Most oil change locations will check all of the above and quite a few other items as part of their normal procedure. They will give you a report on everything they find and make recommendations regarding what you should do about the issues if there are any. If these car maintenance items are checked on a regular basis and corrected if needed along with regular oil changes your car should run very well free of major repairs for many thousands of miles. Failure to check on anything that is making some sort of noise that is not normal or checking the engine when the engine light is on is another problem waiting to become really serious. If your tires look like they are low in air pressure, check them immediately. A tire that is low on pressure could be going flat and driving a tire that is low on air pressure will heat up the tire and cause it to wear that much more quickly. Hot tires have been known to explode which is something you definitely do not want happening at high speeds or in heavy traffic. It can be very dangerous and even a cause of a major accident. It is really the last thing you want to have happen at any time of the year. Make sure you have tires that are meant for winter driving on your car to prove extra grip. They also provide better handling on ice and in snow. Engine anti freeze should be set to handle the temperatures that occur in your region and anywhere you may be driving. the same even applies windshield antifreeze. a reservoir that is full of water will only freeze in cold conditions and not do your windows any good at all. Cars are so complex these days that you pretty much need a computer to analyze them to determine what is wrong. The day when the average home mechanic could repair and tune up most of the things that go wrong with a car are in the past. Even mechanics are reduced to replacing modules these days. There are still a lot of mechanical things that can go wrong with a car. But today’s are really well built. They will last for many years and for many thousands of miles before needing any major repair. It helps to know the Basics of Car Maintenance. Still, it is a good idea to have everything checked when you have the oil changed in the engine for example. Most dealers have a complete checklist that they go through when they do an oil change. Basics of Car Maintenance – What can the Average Person Do? There are still some things that the average person can do to make sure that their car lasts even longer and runs well providing great service as well as the best gas mileage that your car is capable of. These are basic car maintenance things that every person should consider when they own a car and this is our list in no particular order. 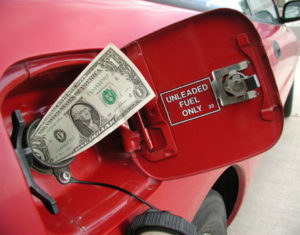 By doing all of the above consumers can expect their cars to last a long time and give them great gas mileage as well. As part of car maintenance drivers who do the quick start and quick stop approach to driving will wear down both their tires and their brakes quickly as well as use a lot of gas with this type of driving. Coasting to a stop and applying the brakes just as you reach the stop sign might not be as much fun, but your brakes will last much longer than if you drive up quickly to a stop sign and then hit the brakes hard to come to an abrupt stop. This uses a lot more gas because these same people also hit the gas pedal hard when they leave a stop sign and accelerate quickly. The cost of a brake job these days is incredibly expensive and the cost of gasoline is going up all of the time not to mention the wear and tar on the tires and the rest of the car. jack rabbit driving is hard on the vehicle and can actually be dangerous as well especially if someone else is following you closely and does not react in time to your quick stops. a jack rabbit stop is one of the best ways to cause an accident. Take your time. You will save money and you will probably get there just as fast. Let us know if we missed anything that you also consider from a basic car maintenance perspective. We will be happy to add it to the list above. So many people do not attend to car maintenance basics and then really get a nasty surprise when their car breaks down or they get a huge bill for work that must be done on their cars. Keep up with the maintenance on your car. If you do not your car is going to have more wear and tear on all of the components making everything more costly. We decided to list the basic things that should be monitored or kept up to date. Then we will discuss some of these in more detail. Why take the risk and face a towing charge, inconvenience? Maybe even lost wages because you did not maintain your car? Fluid Levels: All fluid levels which includes oil, antifreeze, brake fluid, power steering fluid, transmission and windshield washer fluid. Check Your Belts: All belts that are on your engine, such as the fan belt if your car has one and the main water pump and power steering belts. Verify your Brakes: Monitor your brakes and have them checked to make sure there is enough brake pad on then. Also check to make sure that the calipers have not seized or are leaking brake fluid. If you hear a squealing sound every time you touch the brakes, have them checked immediately, the brake pad could be fully worn down and you are braking with metal on metal. If your muffler is sounding louder than normal, it may be time to have it checked and / or changed. Either your muffler, pipes or catalytic converter is about to let go and you will need to have it changed soon. Squeaky Doors : door hinges can dry out and even rust due to exposure to dust and salt. Lubricating these hinges will keep them quiet and prevent the hinges from wearing over time. It only takes a minute or two to check all of the lights. Make sure they are all working properly. Check your driving lights, high beams, brake lights and turn signals. Make sure they are all working properly and it is safe to drive on the road. Spare Tires: most people forget about the spare tire and the car jack until it is time to use them. Check that the tire pressure in the spare tire is at the proper level. With any luck you will never have to use your spare tire. However when you do you want it to be full of air and that the car jack is where it is supposed to be and works properly. These are the main car maintenance basics to check for on a regular basis. Set up a schedule to review all of these items. A good time to have all of these items checked is when you are having the oil changed every 3000 miles or 6000 kilometers depending on where you live. With these basics in place, you will have less of a chance of your car breaking down and needing to be towed to the garage.